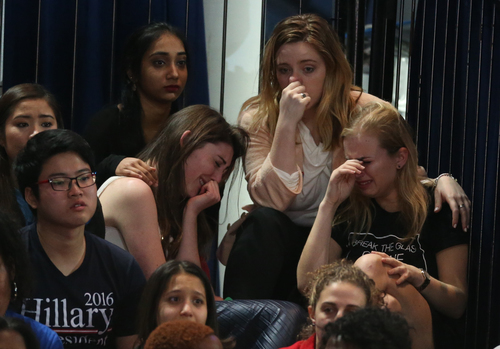 Some Clinton supporters are crying at her HQ in New York City. "Markets are reacting as though the four horsemen of the apocalypse just rode out of Trump Tower ... or at least 3 of them – it might be 4 when the prospect of a clean sweep of Congress sinks in." A quote from Sean Callow, a forex strategist at Westpac in Sydney. CBC NewsThe U.S. dollar sank and stocks plummeted as mayhem came to world markets on Wednesday as investors faced the possibility of a shock win by Republican Donald Trump that could upend the global political order. 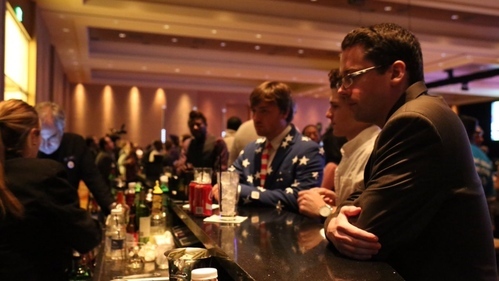 With Trump poised to take Florida (CBC News is projecting a Trump win there), Republicans turned up the music, draped themselves in the American flag, and danced around a ballroom at an election watch party in Miami. 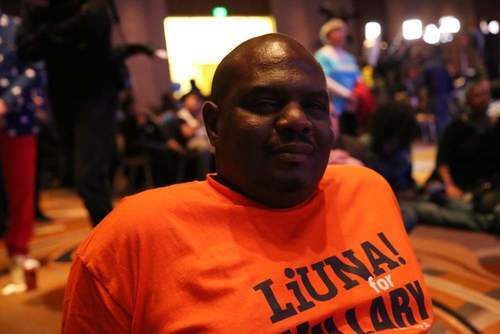 Dade County is firmly Democrat country but the Republican campaign here was able to limit Hillary Clinton’s hold on southern Florida, enough, says campaign chair Julio Martinez. 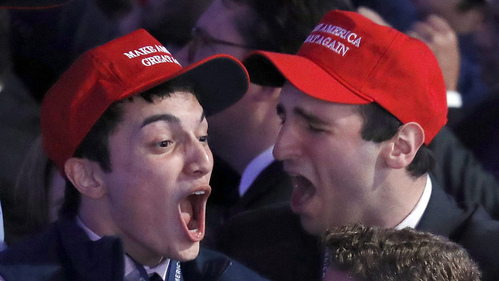 “We are a bit surprised”, but we always knew we were the ‘silent majority’; people here in Miami wouldn’t shout out they were supporting Trump, but they’d quietly give a thumbs up”, he said. Martinez, a Cuban American, and lifelong Republican, told us on Sunday that Trump had made mistakes, but people wanted change and he disputed the conventional opinion that the Hispanic vote was turning away from Trump in droves. 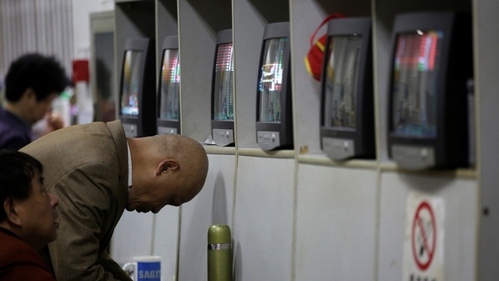 “Let’s hope we get some good news at the end of the night”, said Martinez at midnight. 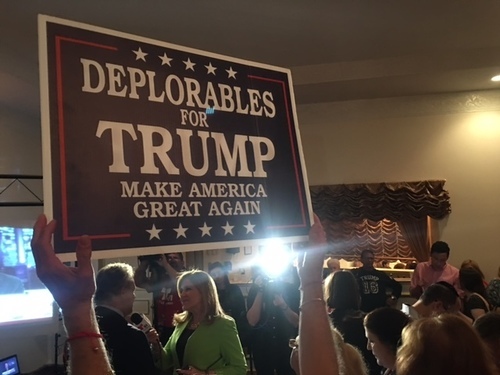 In the last few minutes at Trump HQ -- crowds of happy Republicans flood in, many wearing Make America Great Caps, teleprompter gear is put in place by podium. A speech seems imminent. James Rubec is with Cision and is crunching numbers and looking at trends online this evening. Canada's Twitter account got a little bit cheeky earlier this evening. 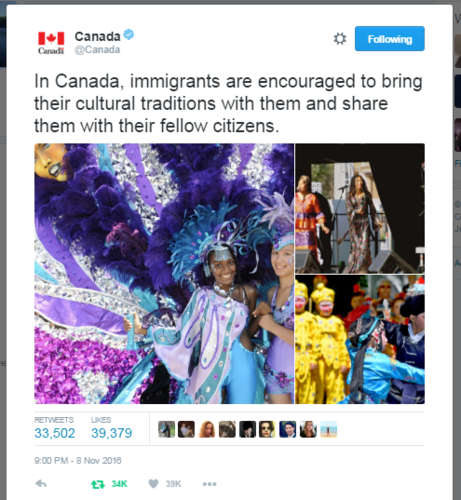 @Canada shared this message at 9:00 p.m., so far it has received more than 30,000 retweets. 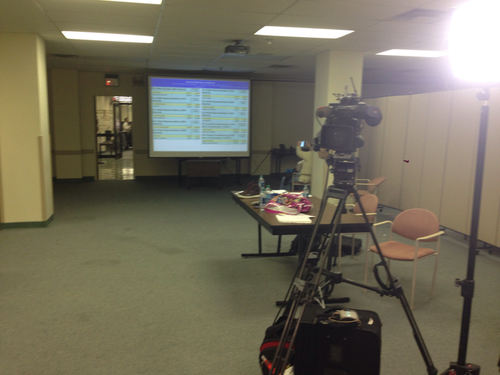 Only crew left here at Hamilton County Elections Board in Cincinnati is Canadian. After a long night everyone has left but we are still at it on CBC. A long road of stories ahead for Canadians and our friends south of the border. Let's check back in on the results in Michigan and Pennsylvania. 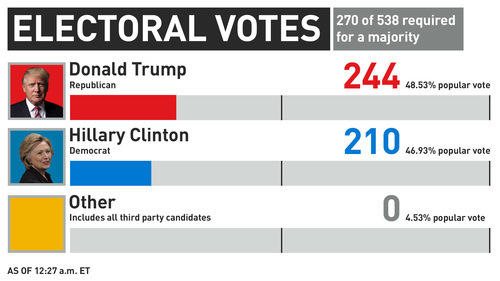 Trump is leading in both states at the moment, but it is fairly close. In Michigan, 78 per cent of precincts are reporting, with Trump up 47.77 per cent to Clinton's 47.08 percent. Others have 5.15 per cent. In Pennsylvania, it's even closer. Trump is winning at the moment 48.24 per cent to Clinton's 48.20 per cent. Other is at 3.55 per cent. 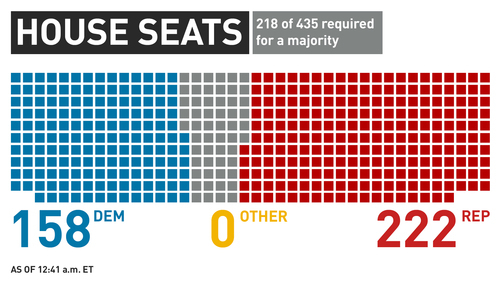 96 per cent of the precincts are reporting there. Pennsylvania has 20 electoral votes. 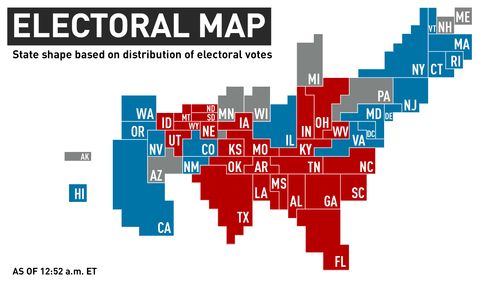 Michigan has 16 electoral votes. We will have to wait a little bit longer to find out who they go to. All major markets continue to trend down as U.S. election results come in. The Canadian dollar down 1.75 per cent. The screen that was showing Fox News has changed back to advertising so election isn't on any of the big screens in Times Square. Many Americans have mused about moving to Canada if Trump wins. As the race tightens, some Canadian politicians are welcoming political refugees on Twitter tonight. ... and Chris Spearman, the mayor of Lethbridge, Alberta. Some are questioning if Spearman is joking though and are frustrated by Spearman's tone. 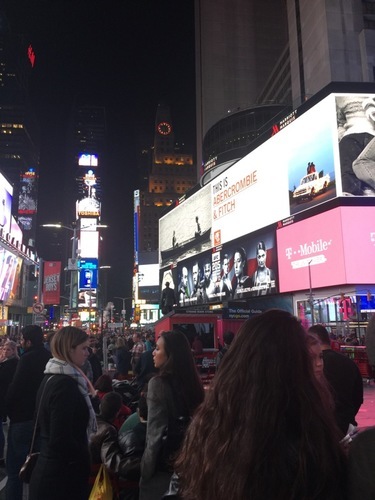 The scene from Times Square earlier tonight. Here is a list of the remaining semi vote-rich states we are waiting on projecting because they are too close to call at the moment. From the CBC's Alex Brockman in Michigan, where votes are still being counted and it remains a tight race between Trump and Clinton. Trump is leading at the moment. CBC News caught up with Robert Sanks tonight. We spoke with him just over 24 hours ago at a Hillary Clinton campaign office. Yesterday, he was so confident in victory, he called Clinton "President Clinton" several times during our conversations. Today, with Trump only a few electoral college votes away from 270, Sanks said he's not giving up. "I'm on edge, but I'm hoping and praying." This total has only budged a small amount in the last little bit, with Clinton adding six electoral votes to her total. Still waiting on Michigan, New Hampshire, Pennsylvania and Arizona, among others. In a way, Canadian academic Samara Klar predicted this election. But even she had no idea how right she’d be. “This is insane,” she says, still shocked by the results unfolding on her screen. Klar is an Edmonton native who now teaches political science at University of Arizona. 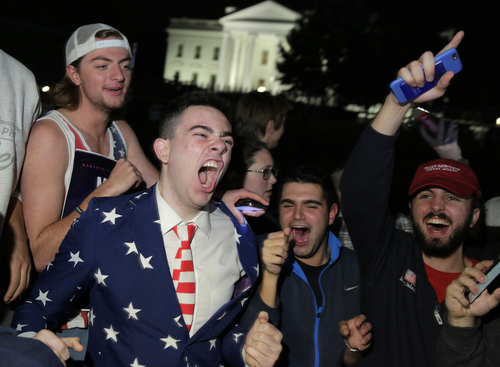 In her 2016 book How American Disdain for Parties Leads to Political Inaction (co-authored with Yanna Krupnikov), Klar described how Americans are rejecting establishment politics. Even so, Klar had privately predicted that Trump would become so undesirable that people would eventually reject him. “But what happened is that he was so undesirable that people were just unwilling to admit it,” she says. That explains Trump’s underperformance in the polls. 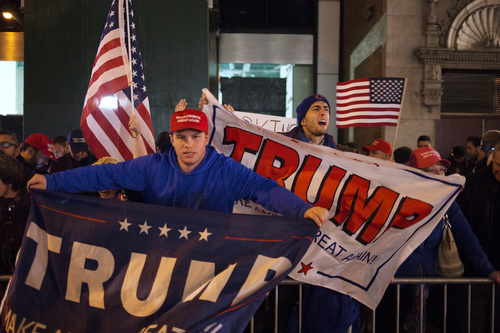 Exit polls underscored the deep divisions that have defined the 2016 contest. Women nationwide supported Clinton by a double-digit margin, while men were significantly more likely to back Trump. More than half of white voters backed the Republican, while nearly 9 in 10 blacks and two-thirds of Hispanics voted for the Democrat. CBC NewsMichigan could find itself as the lynchpin in the race to 270 Electoral College votes as the decision on whether Republican Donald Trump or Hillary Clinton continues into the early morning Wednesday. 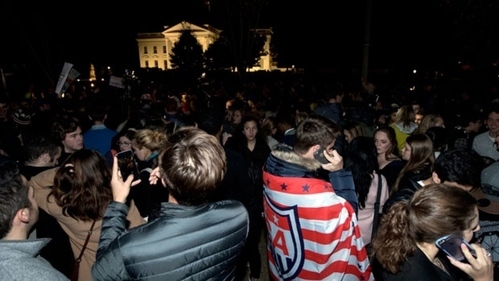 The scene out front of the White House in Washington, not long ago. Neither Clinton or Trump have appeared on stage at their New York City headquarters yet. We are checking in with our CBC correspondents on the ground at both HQs to see if there are any estimates about when they will be coming out. While most of the focus is on the tight presidential race right now, this also happened tonight. 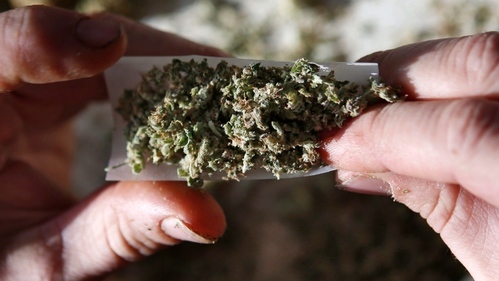 CBC NewsCalifornia voters approved a ballot measure Tuesday allowing recreational marijuana in the nation's most populous state, handing the legalization movement its biggest victory yet. The CBC's Sylvia Thomson is on the ground with the CBC team in Miami. Michigan is still too close to call. 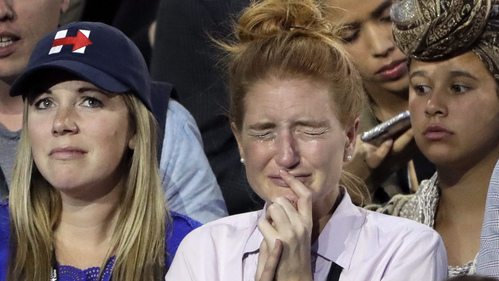 The CBC team in Detroit is reporting that Democrats are not looking hopeful at the moment. Others have fallen asleep. For those still awake (is it really past 1:30ET ... on the other hand -- who'd go to bed now?) the crowd has quietened somewhat here at Trump HQ. All eyes on the big screens in the ballroom, as the last few states keep counting ballots. Certainly the crowd has thickened the past hour or so in anticipation of a call, and then in short order, the Trump family arrival and speech. 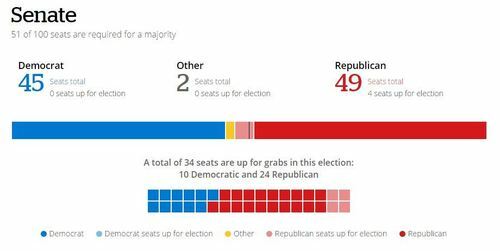 Outside of the presidential race, Republicans are creeping closer to taking the Senate. Here is what is at stake for whoever wins tonight. Her hat – red with white lettering – at first looks like the standard Donald Trump issue. 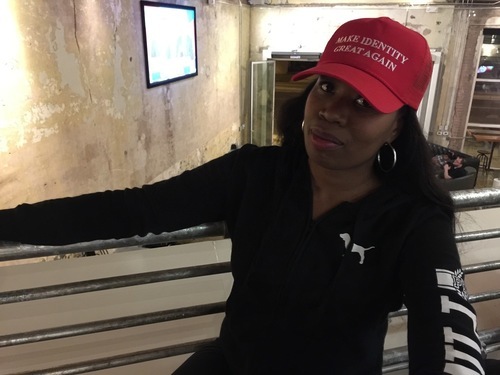 But look closer, you see it actually says Make Identity Great Again. 28-year-old Phoenix native Britt Perkins had it made as both a conversation starter and a confrontation starter. But what she believes in, she said, essentially lies in ruins now that Trump looks like he might become her president. Race has been a central if often unspoken theme in the race. And despite Trump’s dubious appeals to the African-American community and his insistence he isn’t racist, Perkins said it’s a dark day for all American minorities.